Beds & Roses ... Well, the name of the hostel is quite accurate. 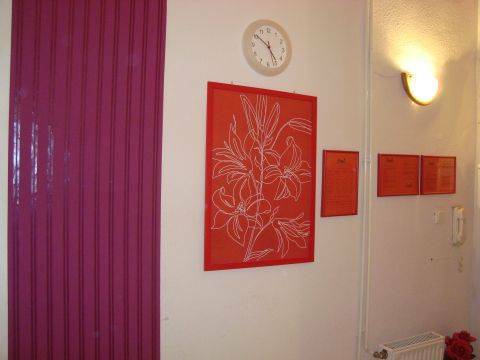 The main features of the hostel are the double bed, and the various roses that are scattered around the room. Beds N Roses hostel is surrounded by plenty of restaurants, clubs, pubs, cafés, shops, but you can find internet café, money exchange, two banks, ATMs(cash machines), fast food restaurants (McDonalds) within a short walk as well. Andrássy avenue or the not far Váci utca (str.) are famous boutique and shopping streets as well. Parking possible nearby. By the nearby underground stop, connecting to the other metros at the Deák tér stop, you can reach simply any main point of the city in max. 25 min. trip. 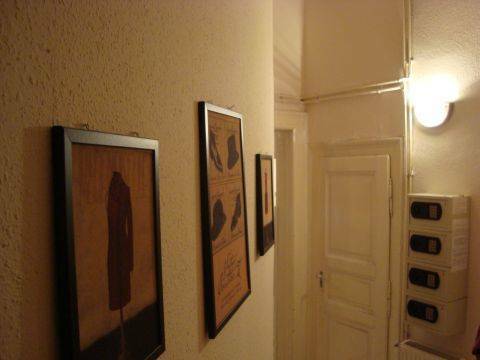 The guesthouse can be found on the first floor of a typical renovated Pest downtown building. 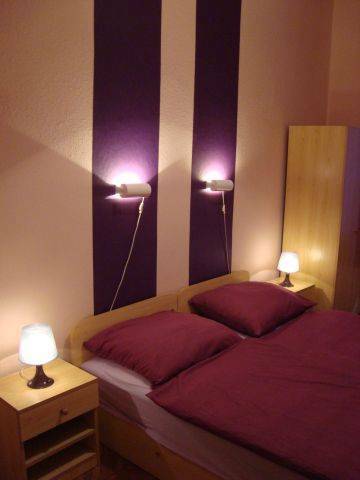 We have few double, twin and 3-4 bed rooms. All the rooms have separate own bathroom containing shower, basin and toilet. 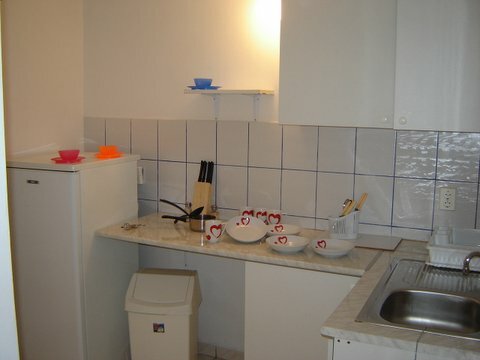 We have well equipped kitchen with cooking possibility and refrigerator. Tables, chars, wardrobes, fans in each room. Metro 2 (red line) to Deák tér. >> Underground (yellow line) to Opera house stop. The hostel is at 3 min walk from the Opera house stop. Trip time: approx. 20 min. Tram no. 4 or 6 >> Octogon stop >> Underground (yellow line) to Opera house stop. The hostel is at 3 min. walk from the Oktogon stop. Trip time: approx. 10 min. Metro 2 (red line) to Deak ter >> Underground (yellow line) to Opera house. The hostel is at 3 min walk from the Opera house stop. Trip time: approx. 25 min. Metro 3 (blue line) to Deák tér. >> Underground (yellow line) to Opera house. The hostel is at 3 min walk from the Opera house stop. Trip time: approx. 30 min. A one way public transport ticket costs approx. 0, 7 eur.